Scorpions are a German rock band formed in 1965. Since the band’s inception, their musical style has ranged from hard rock to heavy metal. The band’s only constant member is guitarist Rudolf Schenker, although Klaus Meine has been lead singer for all of their studio albums. They are known for their 1980s rock anthem “Rock You Like a Hurricane” and many singles, such as “No One Like You”, “Send Me an Angel”, “Still Loving You”, and “Wind of Change”. The band was ranked number 46 on VH1’s Greatest Artists of Hard Rock program. “Rock You Like a Hurricane” is also number 18 on VH1’s list of the 100 Greatest Hard Rock Songs. The band is one of the world’s best-selling bands of all time, with claims of sales over 100 million records worldwide. In November 2009, Scorpions announced that their 17th studio album, Sting in the Tail, would be released in early 2010, recorded in Hanover with Swedish producers Mikael “Nord” Andersson and Martin Hansen. Sting in the Tail was released on March 23, 2010. An album of re-recordings of older songs, Comeblack, was released on 7 November 2011. 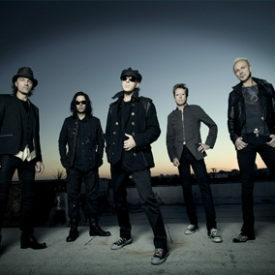 Frontman Klaus Meine was asked in a July 2011 interview about the future of Scorpions and whether the band was going to make another album. He replied, “Our newest project comes out in the next few months. It gives you a chance to experience the Scorpions in 3D. You can actually feel the smoke string out of the guitar like it is a live show. It is an incredible experience. The DVD features our concerts in 3D in Germany. We are just about to do the mix and it should be in the Middle East and Saudi Arabia hopefully soon. Almost a year in advance it was announced Scorpions would headline the Wacken Open Air Festival on 4 August. In April Scorpions announced shows in Russia and Belarus with an orchestra in October 2013. On 11, 12, and 14 September 2013, the Scorpions played three MTV Unplugged concerts at the Lycabettus-Theatre in Athens. On November 6, 2013 they announce 4 more MTV Unplugged Concert in Germany 2014. 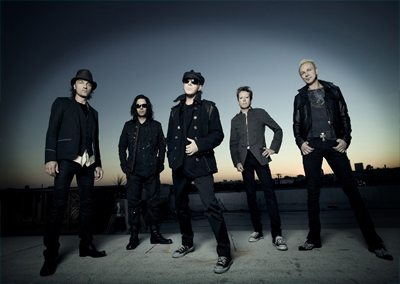 On August 16, Scorpions announced that there’s a new album in the works due for release sometime in 2015. On October 23, 2014 Scorpions’ leader Klaus Meine spoke to the band’s French fan-club Crazyscorps, and announced that the new record would be published in February or march 2015; to coincide with the band 50th aniversary. Contrary to what the band said in 2013; the new record will present not only newly recorded versions of never-published songs, but also new material, written between 2011 and 2014. The album is being recorded in Sweden, with producers Martin Hansen and Mikael Nord Andersson. Drummer James Kottak, who left the band in may 2014 for rehab, will play drums on the new record.